Handy Hubby’s Mom and her husband are arriving today for a visit (they leave Saturday) and we couldn’t be more excited. I’m also a little tuckered out from trying to cram a week’s worth of work into a weekend, so we could have more time to spend with them. I failed, but at least we remembered to pick up a Mother’s Day gift (pssst, some chocolate from the best chocolate shop in Ottawa). My own Mom is not a fan of Mother’s Day. She’s not one to go with the crowd. But she loves handmade goods and is especially fond of a few of my DIY projects. If I was a better daughter, I’d have made her something and forced her to revel in the joy that is Mother’s Day. Today I’m featuring my Mom’s favorite projects from my DIY archives, with ideas for how to personalize them for your Mom. Check back tomorrow for a list of fun DIY gift ideas for Mom I haven’t yet tried. I love this project because it is so customizable. You could make one large display for all of Mom’s brooches, or use a few special pieces (maybe family heirlooms?) so she can enjoy them everyday, as “art”. And remember: this project doesn’t damage the brooch and it is still easily removable. Awww, Mom’s with grown kids (unless they have grandkids) have no more school art projects to pin to the fridge. 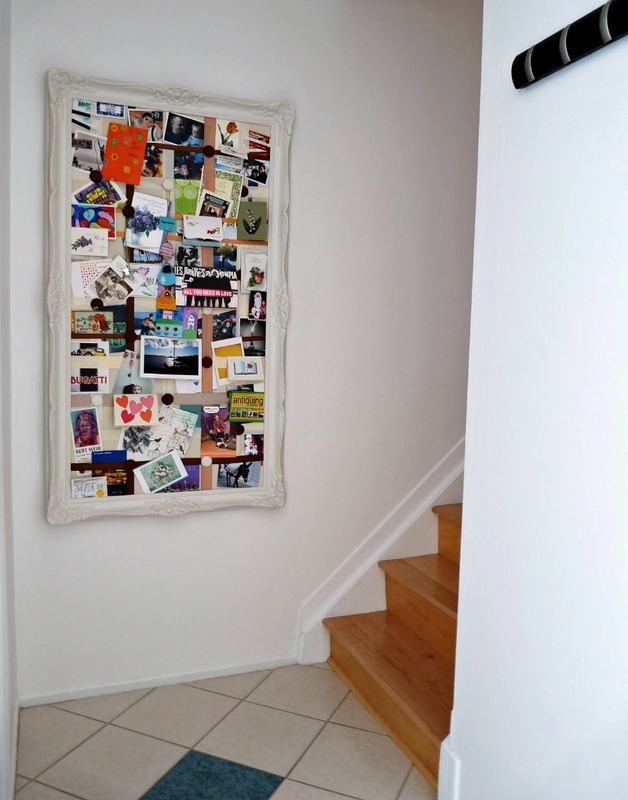 Why not tackle a blank canvas and create Mom some one of a kind artwork? 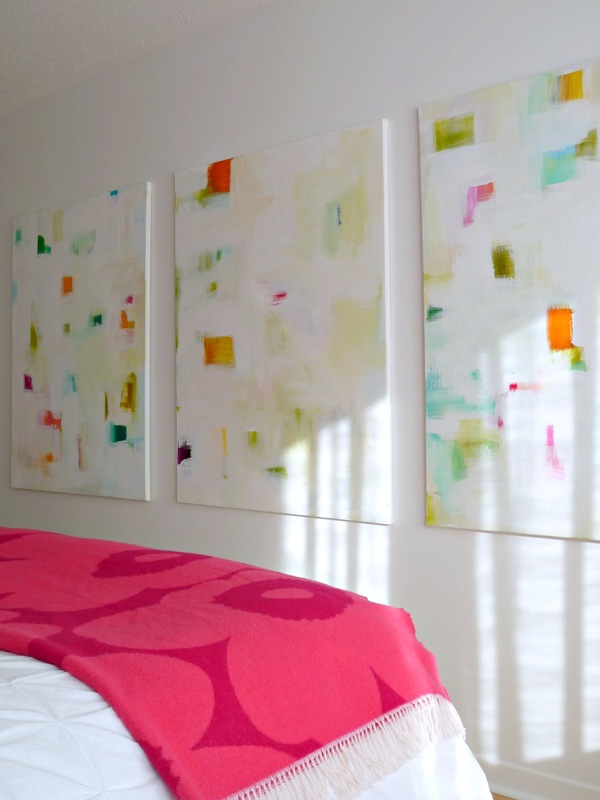 I promise she will love it – my Mom is always stealing paintings I’ve made (see her living room for one of them). Or, for something even more sentimental, invite Mom over, hand her a smock and paint something together! Check out my DIY Projects Page for some inspiration. Beautiful jewellery can be so simple to make. Check out this tutorial for simple drop earrings, this post about stringing beads to make a bracelet, or this chain and pearl necklace post for some ideas. 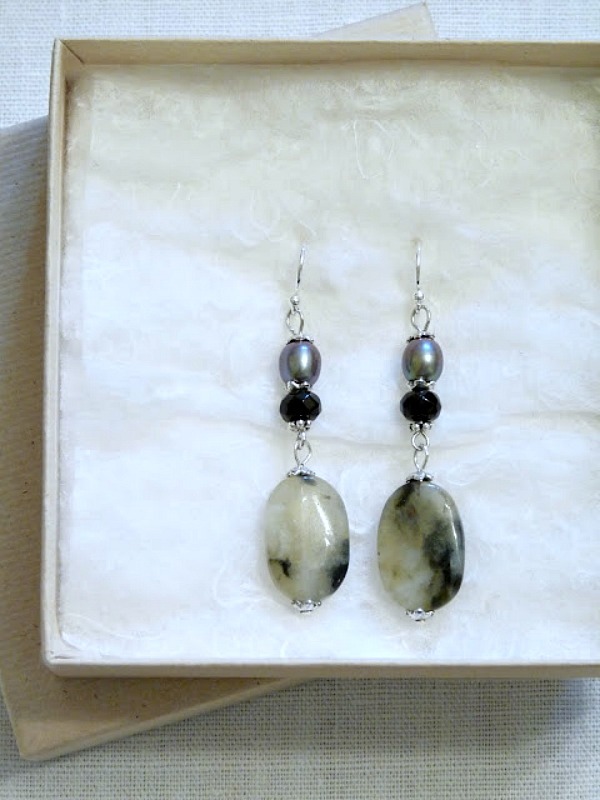 After my sister-in-law’s first baby was born, I made her a pair of earrings from her and her little girl’s birthstones. Try a pair with your birthstone paired with your Mom’s. I think Moms, like most people, have too much stuff. My Mom complains of that all the time. If your Mom had begged for no more clutter, try making something usable and consumable. Decorative items (unless they meet their maker in an unexpected dusting accident) last forever and take up space, doing nothing! But table linens can be used daily and eventually wear out (so we always seem to be able to use more). 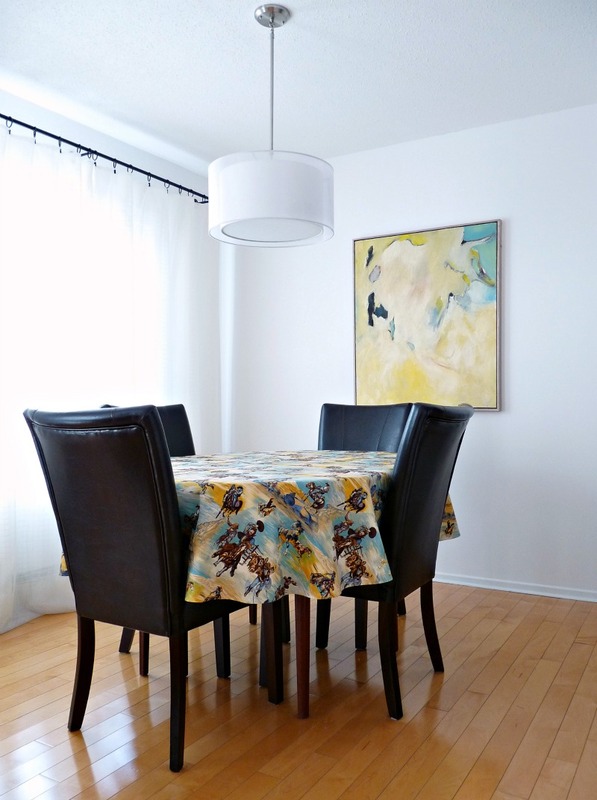 Try making a table cloth for your Mom’s specific table measurements, or a set of napkins – or both! Maybe a photo of you coupled with some memorabilia, or a collection of vintage spoons needs a better way to be displayed. You can find really nice shadow boxes at craft and framing stores and, with a little personalization, you can finally display what is most special to your Mom. 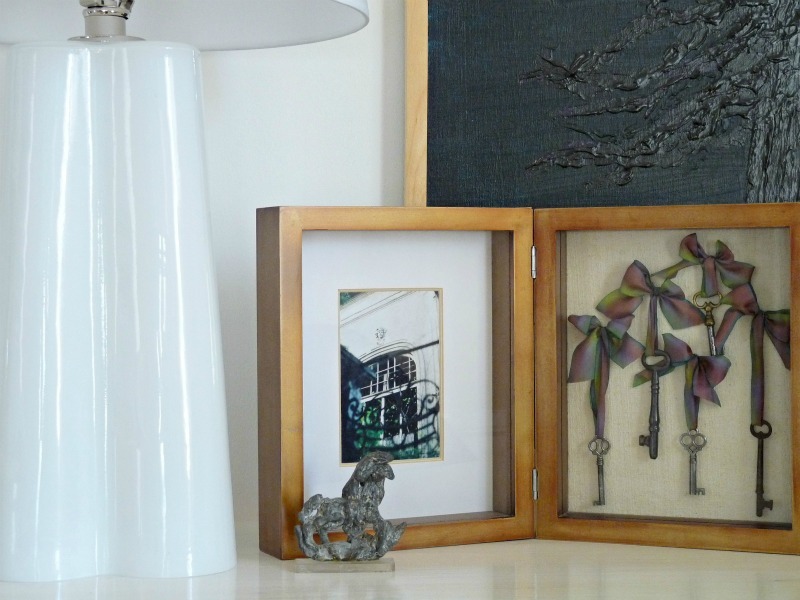 Take a peek at my framed skeleton keys for inspiration. This DIY is easy-peasy! One thing Mom might have a lot of: greeting cards! Make her a special place to collect them, like my DIY card display made from a vintage frame. She will thank you every holiday! Maybe your Mom has complained her tiling is dated or her walls need painting. Why not give her a “gift card” for a weekend of your time, or a specific job (one you’re good at, now is not the time to experiment)? I actually enjoy spending a weekend helping my Mom organize and de-clutter, because I feel like I’ve really given her a gift (although she’s a fan of chocolate too). Tell me: what do you have planned for Mother’s Day? Does your Mom like homemade gifts? Nothing at all? Awww, my Mom is 1500kms away. What a great gift you bought her! So hard to find something small enough to mail, but you had such a clever idea. I ordered my mom Downton Abbey Season 2. I know it is gonna slide me into the favorite daughter slot. hahaha! This is kind of funny…my Mum is also 1500 miles away 🙂 So this year it's just a card, but I'm going to be flying down there next week! 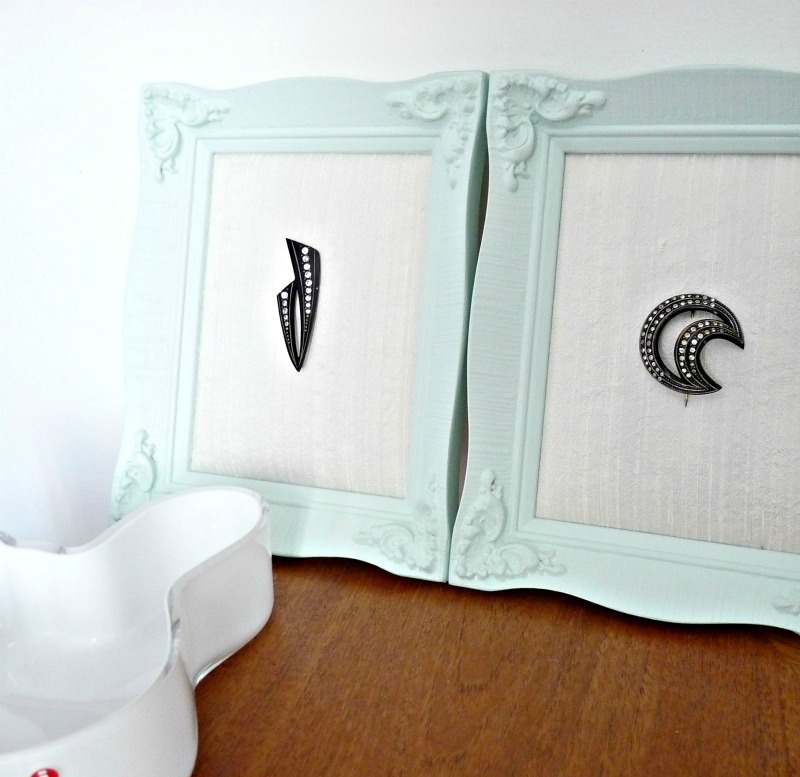 These are great ideas, T – I especially love the framed broach idea for a unique jewelry organizer-slash-artwork. Awww, why have we all moved so far away from our Moms?? Haha, I moved HER away, muh ha ha ha… JK – I'm sure she'll be back in a year because so far she hates it and misses me.